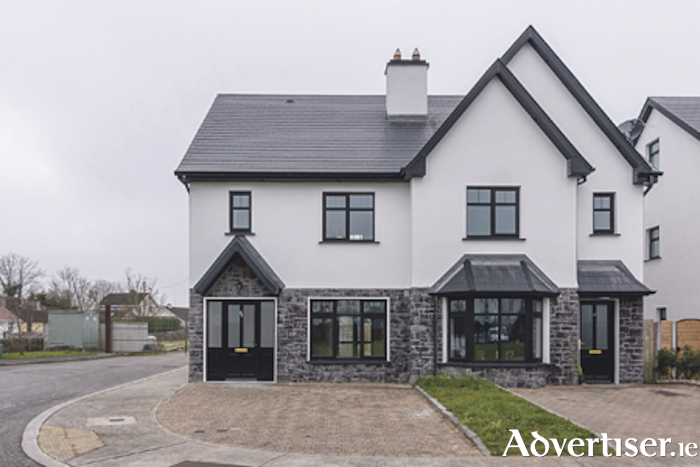 Unmatched by any other development in Moate, with its innovative design and high specification, this attractive development with landscaping and paved driveways offers generous accommodation for modern living. The home is in walking distance of schools and services in Moate town, while being just 15 minutes from Athlone and 20 from Tullamore. This house is ready to occupy and will make a fine family home. The interior of the home offers four bedrooms, two reception rooms, four bathrooms, central heating and attractive decor. Outside are well kept gardens, a patio area and room for private parking. The entire property is approximately 120 square metres and the home enjoys a BER C1 energy rating. For more information or to book a viewing, call Helena Kenny of Sherry Fitzgerald O’Meara on (086 ) 8119190.